I am humbled and honored you chose yours truly to shoot your dream of HighLine Family Photography. Why me? You could have hired anyone to do this job. 1. Because you’re an all around AWESOME person and we love you! 2. Your awesomeness is only rivaled by your photography talents. 3. Your awesomeness in both personality & talent are a great mesh with my family & kids. 4. Did I say awesome yet??? We had a few challenges with scheduling/kids getting sick. How did that help us have a great shoot in the end? We were supposed to do our family shoot in our old ‘hood in W’Burg, themed “Last Day in Brooklyn.” Jack got sick & we had to skip it. I was really saddened by it, since we loved our old home. However, when we moved to W. Chelsea & discovered our new “backyard,” we were in love immediately! Our family shoot ended up being “New Beginnings.” The greenery & trees framing several shots added to that. Tell us about how you came up with idea and arrived at your family’s accent color for the day. The shoot was in late spring, so the High Line was alive with bright green shrubberies & budding plants. I chose navy & florals to accent the sky & flora. Plus we still payed homage to our old home by having Jack wear a Brooklyn t-shirt for the shoot! 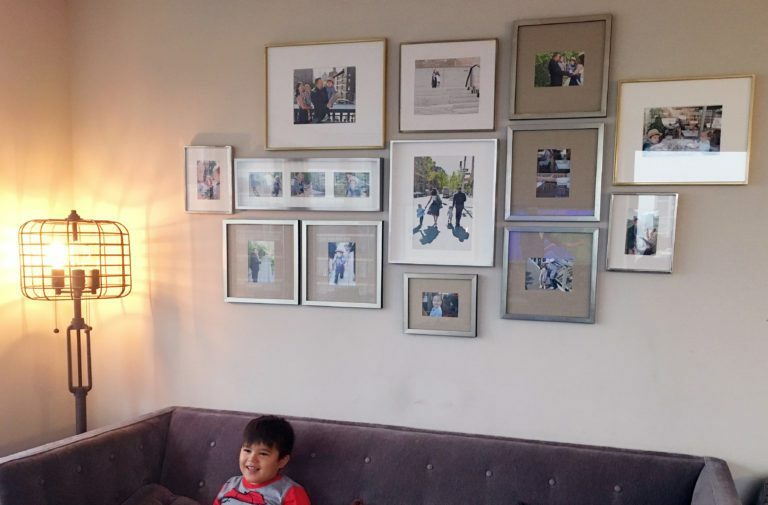 Lastly, how did you come up with the idea for that amazing gallery wall of family photographs in your living room? Was that what you had your eye on as an end result? 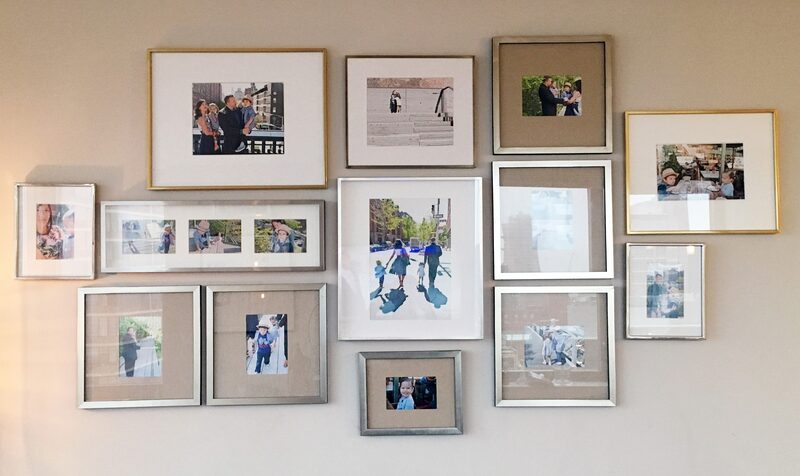 Yes, I always knew I wanted a gallery wall for our family photo shoot, & that was always the prime goal. It came out even better than I ever hoped due to your beautiful photographs.